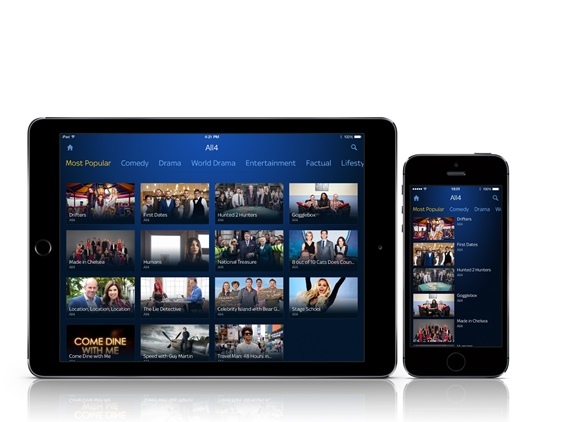 Sky and Channel 4 have struck an agreement that allows users of Sky's mobile apps to access catch-up content from the All4 service. Gogglebox and Hunted are some of the programmes now available to users of the Sky Go and SkyQ mobile apps. The new shows join the existing All 4 archive and box set programmes currently available on Sky’s mobile platforms. The addition comes on top of recent additions from E! Entertainment Television, Syfy and Universal Channel. The news comes as Sky confirmed SkyQ users would be able to watch TV on the go and watch their downloaded recordings via the new SkyQ app.